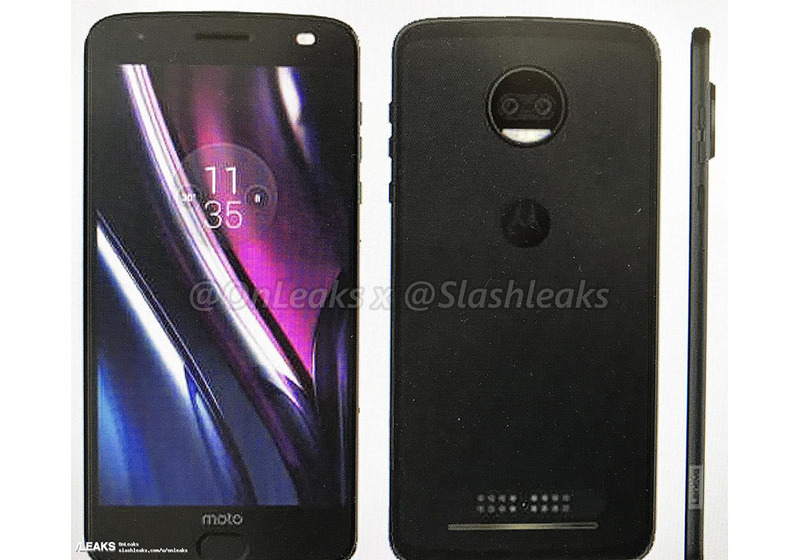 The folks behind both @onleaks and @slashleaks accounts are under the impression that the phone you are seeing above is the Moto Z2, the follow-up to last year’s modular Motorola flagship line. The phone certainly looks like it could be the next Moto Z, as its overall design is very similar, yet features some of Moto’s 2017 phone design choices. Now, we know that Motorola is going to have to release Moto Z phones for the next couple of years that carry almost the exact same shape as the original Moto Z. We know that because they plan to release Moto Mods that will work on Moto Z phones for years to come and you just can’t do that if you keep adjusting a phone’s design. While that may take some of the fun out of a yearly design refresh, Motorola should be able to improve on some things (like reducing bezel or adjusting thickness, etc.). This phone in particular looks almost identical to last year’s Moto Z outside of its redesigned fingerprint reader that is already being featured on the Moto G5 and the rear camera housing that shows a dual camera setup. Up the sides of the device, we have buttons in the same places, along with a new Lenovo tag, plus the Mods pins are where they were last year. Honestly, this phone could be mistaken for the original Moto Z pretty easily. Maybe that’s not a bad thing! Then again, when LG and Samsung are doing what they just did with phone design, part of me wants to tell Moto to go back to the design room.